With information about SEO trends and tips running rampant on the internet – some of it years out of date – it is easy to become overwhelmed and misdirected. Floods of information, seemingly giving new advice on updated trends, easily leads us to believe SEO practices are constantly in flux. And, while there is some truth to this, Google’s frequent updates to its algorithm aren’t always major game changers. Google Hummingbird, however, launched in September 2013, actually is a new algorithm as opposed to a simple update to the existing. Prior to, and especially after the announcement of the new algorithm rollout, the internet became inundated with “helpful” articles full of suggestions for 2014 best practices. Last year, we wrote a four part series SEO Explained. Most of what we wrote still holds true, but we too want to stay up-to-date and also help you stay informed as well. In this post, we’re outlining five steps for you to update your SEO practices for 2014 and the future. If you handle your business’ marketing, it’s likely you’ve heard or read the term “content marketing.” It may sound like a term Internet marketers and advertisers disseminate in order to persuade you to invest money in their services, but it is not. 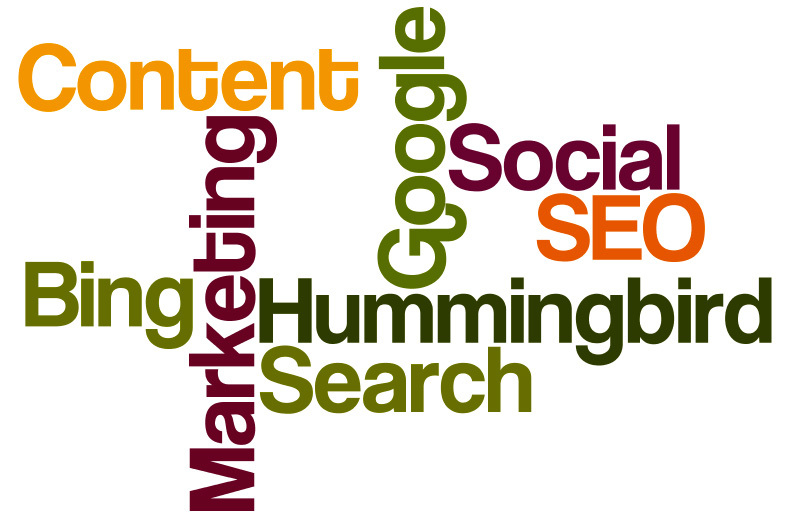 Content marketing is in fact, a very real, very necessary element of search engine optimization. So if content marketing is a real thing, then what is it? Well, it’s everything. It is everything your company says. Every Facebook post, every tweet, every blog, every word on your website is a part of your content marketing. This means, if you have a website, a Facebook page, and/or a Twitter account for your business, you already have the platforms to begin content marketing. This does not mean, however, to load up your website, your blogs, or your social postings with keywords. Google gets a little bit smarter every day, and their new algorithm is pretty good at detecting this trick. Plus, keyword driven content is B-O-R-I-N-G. If you have unique and original content relevant to your business on your site, the searchable keywords will take care of themselves. One recommended approach to writing this more appealing content, is to identify your existing and potential customer/client problems and how your business offers solutions to these. Looking at your business in such a way – as a solution rather than a product/service — and writing about it, will create very customer-centric content; and in this day and age, customers want a business to demonstrate an interest in their needs, not the almighty dollar. Educational content – How to’s, tips, guides, etc. Case studies, true stories, testimonials. Top ten or list articles. Interviews with experts in your business or field. Google is placing more and more emphasis on longer in-depth articles over the short blurb type posts. The more quality content you provide in your blog or news posts, the more content Google has to crawl for displaying your site for a wider range of search queries. Update: As of August 2014, it looks like the Google Authorship experiment is over. Preserved below is a screenshot of the now-defunct feature, so we can all look back, eyes misty with nostalgia, as we remember just how good we had it back in 2013. 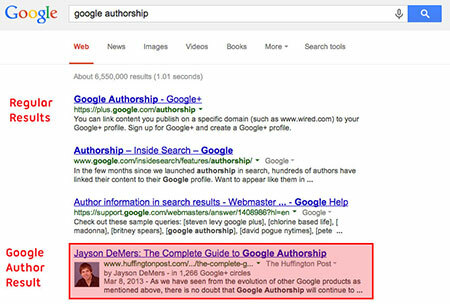 Google search results showing a Google Authorship listing. RIP. Excellent content marketing requires strategy. The vision, mission, and message of the company needs to be clear so that the content you or your marketing team rolls out on to the web is consistent across the board. If your company does not already have a set message, then some strategic planning needs to be done including laying out a marketing plan outlining where, when, and how often you will post/advertise/socialize with your customer or client base. Content marketing handled well will assist with your on-site and off-site SEO as long as the message remains undeviating and at least 45% un-selfish. In the most basic of terms, these two tagging systems help to define the content on your website. Open graph assists with how the social networks see your content, and is actually required by Pinterest before applying to add Rich Pins to your site. Schema.org tags, assist the search engines to identify specific details found on your pages and posts. Essentially, the two will ensure that any crawled or shared content is explicit and intelligible. Typically, Google and the other engines have to figure out the meaning of everything on your site. With the Schema.org tags, you are able to supply that meaning yourself, and this not only benefits Google, but it benefits your site’s page rank. There are some plugins that provide basic open graph or schema tags, but to get the optimal benefit of these tags it is best to hire a developer who can program your site to automatically generate the tags as you create and modify your content. As the search engines and social networks begin to place more emphasis on clearly defined information, this practice will soon become very important. Social activity, which will be covered in the next section, is beginning to take prominence in SEO practices as well, so you might as well get ahead of the game now and have the tags implemented into your site. So far, there seems to be no conclusive proof Google is using social media as a factor in their algorithm for page ranking. Yet. With such indefinite information circling around in the realm of internet marketing, the only thing to do is to get ahead of the game. Begin focusing more on your social media now. We will delve deeper into methods for updating your social media marketing in a future blog post, but for now keep the need for more social emphasis in the forefront of your mind. You can also visit our SEO Explained series, and begin with the simple tips we outlined last year that are still relevant in today’s social media marketing. Social may be taking more prominence and may possibly take over in the future, but for now, inbound links still play an important role. 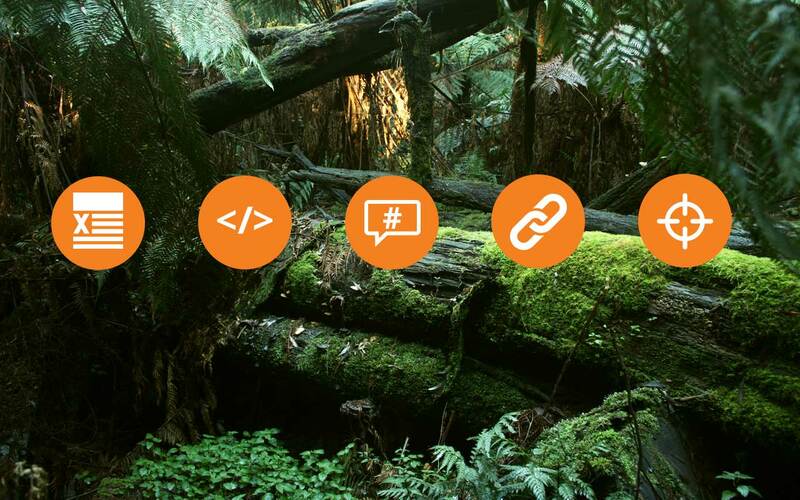 Again, our SEO Explained series outlines the importance of and tips for gaining back links to your site. Perhaps, rather than outlining the optimal methods for gaining these back links, it is better to outline the bad practices. Never buy or sell links. Never write or buy fake reviews. Reviews are for enhancing customer service, not for SEO. Have an area on your site linking to the various networks for reviewing your business, respond well to positive and negative reviews, and provide the kind of service people want to write about. Do this and your business will generate plenty of reviews organically. Do not use guest blogging as a means to spam other sites with links back to your site. Guest blogging in and of itself is not a bad practice, but use it as a legitimate way to spread quality content, not to simply generate more links. To the same effect, never use the comment areas on blogs for spam comments. Overall, the best practice for gaining inbound links, is not to try to gain in bound links, which leads us to our final and possibly most important step. This may seem like strange advice to read in a blog dedicated to updating SEO practices, but at the end of the day the best way to make your business relevant to a user’s search query is to give them a reason to search for you. Even in today’s digitally connected world, the word-of-mouth promotion of a business is still very powerful. Provide excellent service and respond to negative reviews diplomatically. Give your customers a reason to recommend you to their friends via Facebook, Angie’s List, Twitter, Google+, etc., and people will go searching specifically for you. At the end of the day, keeping up to date with SEO practices doesn’t need to be as complicated as it may seem to be. Just remember to provide quality content on your site, implement Schema.org and Open Graph tags, socialize and connect on social networks, don’t participate in questionable link acquisitions, and provide a service, product, or solution to your customers that make them want to search for your business. For more information regarding a strategic marketing plan consultation or assistance implementing Schema.org and Open Graph tags on your website, contact us.